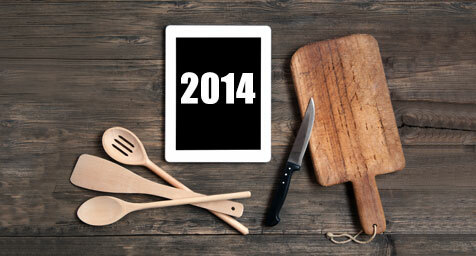 What trends should the restaurant industry look out for in 2014? Mobile ordering, variable pricing, daypart experimentation, increased efficiency demands, and the continued decline of daily deal sites, according to Jonathan Marek of Applied Predictive Technologies (APT). Mobile Ordering: Pizza Hut recently revealed that 30% of all sales now come from digital channels, and half of those orders are made on mobile devices. Marek sees this trend expanding to smaller chains and individual restaurants, thanks to apps such as Seamless, GrubHub, and Order Ahead. Variable Pricing: Travel businesses have long adjusted prices based on demand. Now, thanks in part to digital menus, restaurants are doing the same. Happy hours and “Kids Eat Free” offers are already popular, and should become more so as food service businesses increasingly track historic demand. Daypart Experimentation: Restaurants have been trying to grow their slower dayparts for years with expanded breakfast offerings, late-night “munchie” menus, and expedited lunch service. In 2014, Marek says businesses will need to get better at analyzing the payoff of these programs and adjusting them to significantly boost revenue. Increased Efficiency Demands: With the minimum wage set to increase in states across the U.S., restaurants will need to focus on counteracting higher labor costs with increased efficiency. This could mean adjusting staffing schedules, changing menus, and/or adding new technologies. The Decline of Daily Deals: Sites such as Groupon have been losing their luster for a few years now, and Marek sees the trend continuing. As businesses keep testing the economics of special offers, daily deal sites will need to deliver real benefits or risk being abandoned altogether. Will these predictions pan out? We’ll see in a year. Most of the trends are based in larger shifts in the worldwide economy—in particular the rapid growth of mobile marketing, the increased importance of analytics data, and the changing labor market—so it seems more likely than not that they’ll affect the food service industry significantly. Those focused on restaurant marketing, branding, and operations may want to take note and keep a close watch. Discover what’s new in restaurant marketing and branding. Contact MDG Advertising today at 561-338-7797 or visit mdgadvertising.com. MDG Advertising, a full-service advertising agency and branding firm with offices in Boca Raton and New York, NY, is one of Florida’s top restaurant marketing companies. Our core capabilities include print advertising, branding, logo design, creative, digital marketing, creative media planning and buying, radio and TV advertising, Web design and development, email marketing, social media marketing, and SEO. To stay on top of the latest trends in restaurant marketing and advertising, contact MDG Advertising today at 561-338-7797.